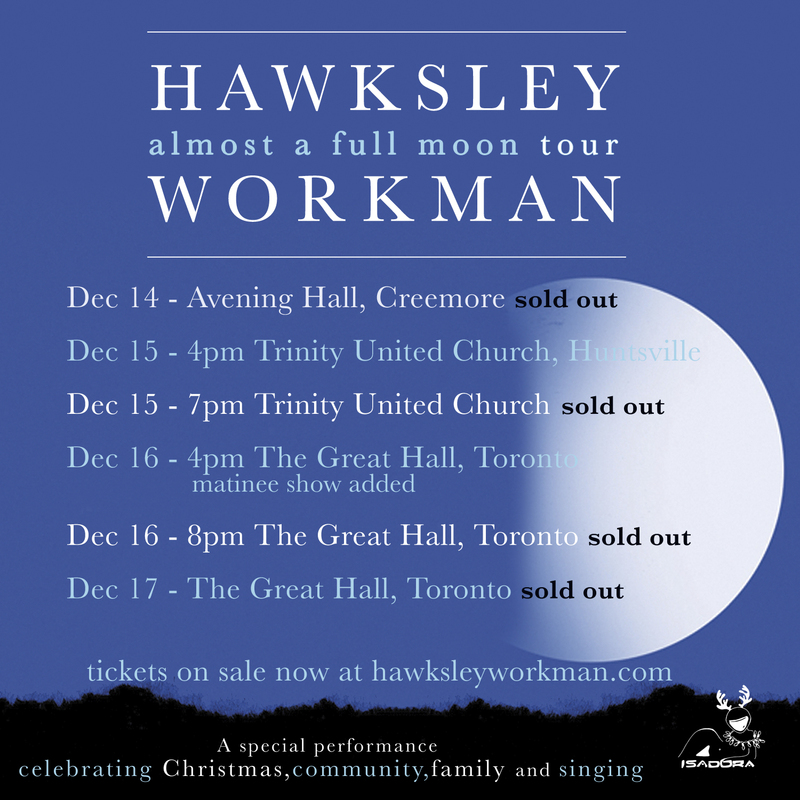 We are excited to announce that Hawksley will be performing his first Almost a Full Moon annual Christmas show in Toronto this December. He will also be returning to Huntsville, Ontario for a hometown show and to Avening Hall for a very special night! Second shows have been added in Toronto and Huntsville!